During June-August 2015 on the mound “Savur-Mohyla” fights did not stop. 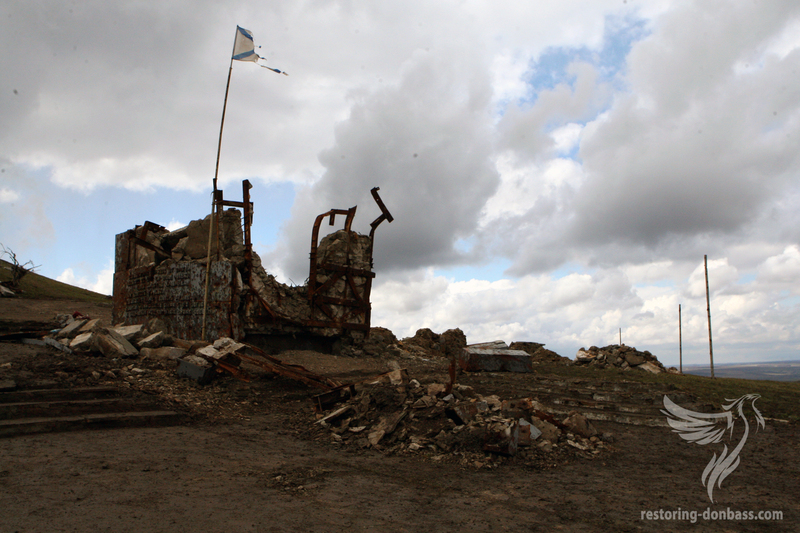 Armed clashes between the Ukrainian armed forces and the forces of the DNR for the mound 278 height, which is located in the mining district of Donetsk region, led to the destruction of shelters peaks. The strategic importance of the height is connected to the fact that it rises over the surrounding steppe areas. All this time the inhabitants of the surrounding villages to the mound were in mortal danger. The village Petrovskoe was affected the most.